This blog (originally featured on Victron Energy’s Blog) and written by our own Sean LePoidevin) relates to a CoGood Australia project which has brought much needed electricity to Kompheim Village School in Cambodia, positively impacting over 300 families in the process. In 2011, CoGood Australia’s founder Gail Jackman became inspired, after hearing an address by Dr Lynn Arnold titled ‘Slumdog Engineer’. She made a decision to kickstart a program to mobilise university students to get involved in humanitarian projects in communities living under the poverty line in Cambodia. Since then, she has led numerous student groups to Cambodia and has helped to improve the education, health, sanitation, hygiene and nutrition at Kompheim and other villages in Siem Reap, Cambodia. 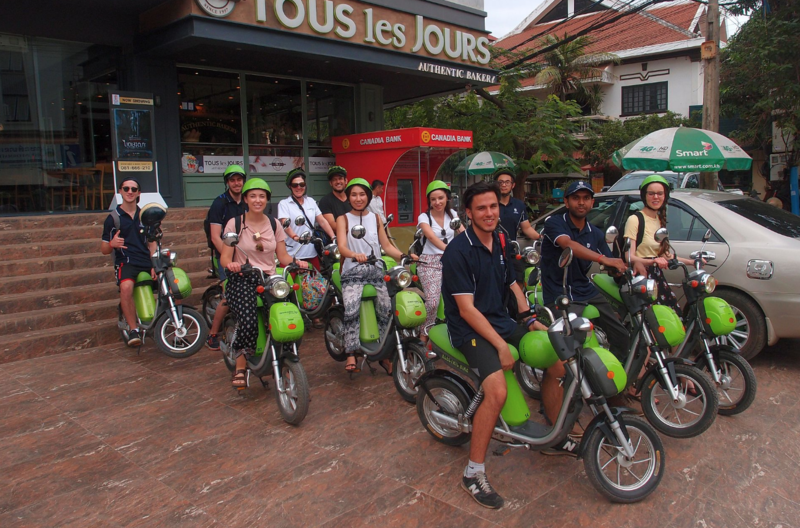 In addition the visiting university students have gained from life-changing experiences, becoming more community minded, more culturally aware and even more ready for the world of work. Gail also freely states that sponsorship by Off-Grid Energy Australia, Victron Energy and others has also been key in bringing this project to fruition. 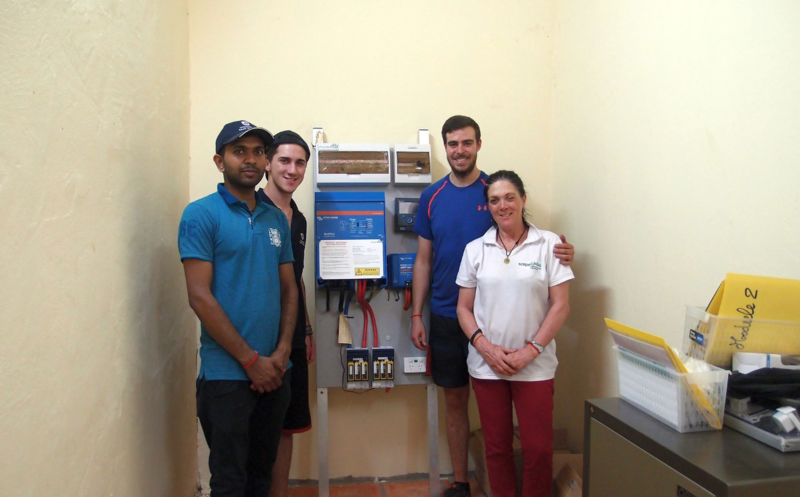 In 2017, Gail’s non-profit organisation CoGood Australia (CGA) in partnership with the University of South Australia and Off-Grid Energy Australia raised funds for this life changing off-grid energy system. Electricity is a vital source to support the economic and social development of any society; it is clearly one of the key innovations that has transformed humanity. Today, society’s reliance on electricity is so substantial that it is considered a basic need. Although there are people who cannot visualise life without electricity in developed nations, there are approximately 1.2 billion people who have not been so lucky to enjoy the beauty of electricity. According to the world bank, only 10% of people in Cambodia have access to the electricity grid. Photovoltaics (PV) and battery based buildings/applications therefore are often the most appropriate source of electricity in locations where the grid is unreliable or unavailable. 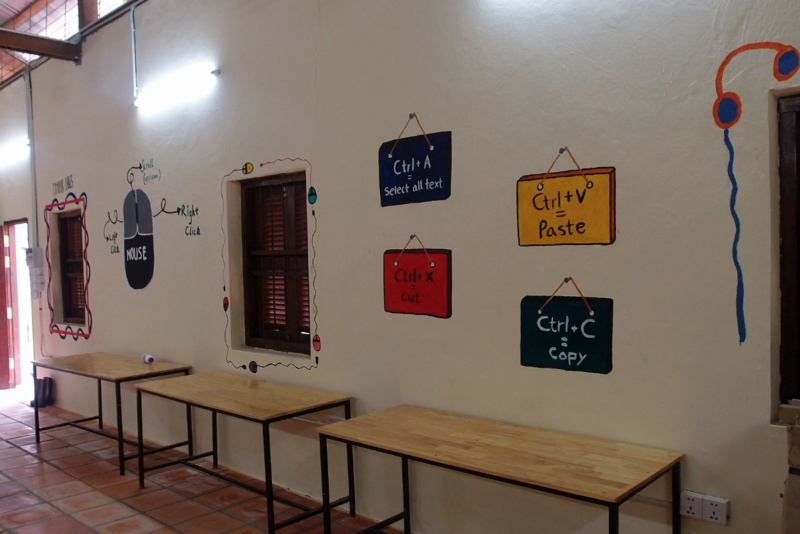 The students with assistance from industry partners researched, designed and developed a low cost, easy to use renewable stand-alone power solution, specifically tailored to power the newly built computer lab at the Kompheim village school. The project was undertaken in several steps, initially, consultation with the client in Cambodia was conducted to identify the types of appliances/applications (loads) that are used in the computer lab and for how long (i.e. to quantify the electrical energy required to operate these appliances). The maximum power and energy capabilities to suit the load requirement. Component quality, cost effectiveness, availability and manufacturer continuing support. Transportation and packaging of the finished product. End user ease installation guide, commissioning and use. The results of this project demonstrates that a specific small off-grid power solution for small communities in developing nations is feasible and offers significant benefits to all of those involved in such projects. Victron Energy B.V. kindly donated the Victron equipment for this project, with the assistance of Off-Grid Energy Australia who are an authorised dealer and integrator of Victron PV and battery storage system for both grid connected and off the grid applications in Australia, Asia and the Pacific regions.